Spotted Everywhere: Arrows — Gift Horse + Co. This directional symbol has been appearing on clothing, accessories and decor items for the past few seasons, as well as landing on some very stylish papers and such. Here, a selection of gift wrapping goods that hit the mark. 1. Flat-back brass arrows (35 mm long), $5 US per package of 6, CMYK. 2. 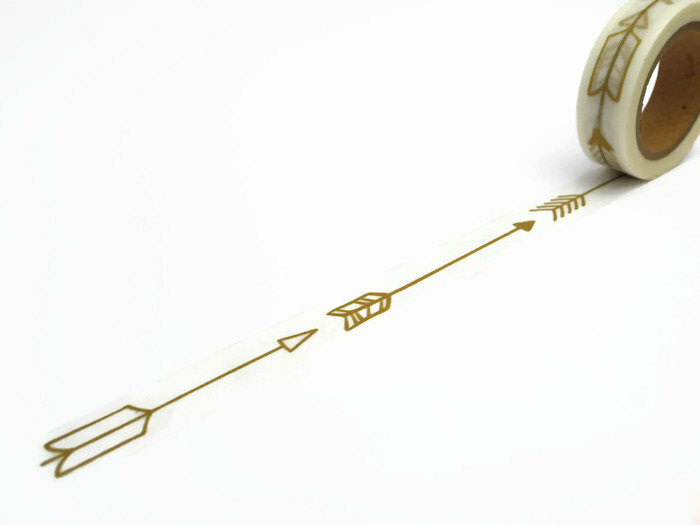 Gold arrow washi tape, $4, Unwrap Colour. 3. 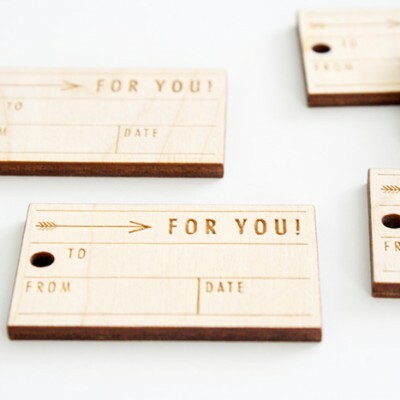 Wooden gift tags, $10 US per package of 5, Oh, Hello Friend. 4. Falling Arrows wrapping paper, $11 US per roll (26" x 36"), Kate Zaremba Company. 5. 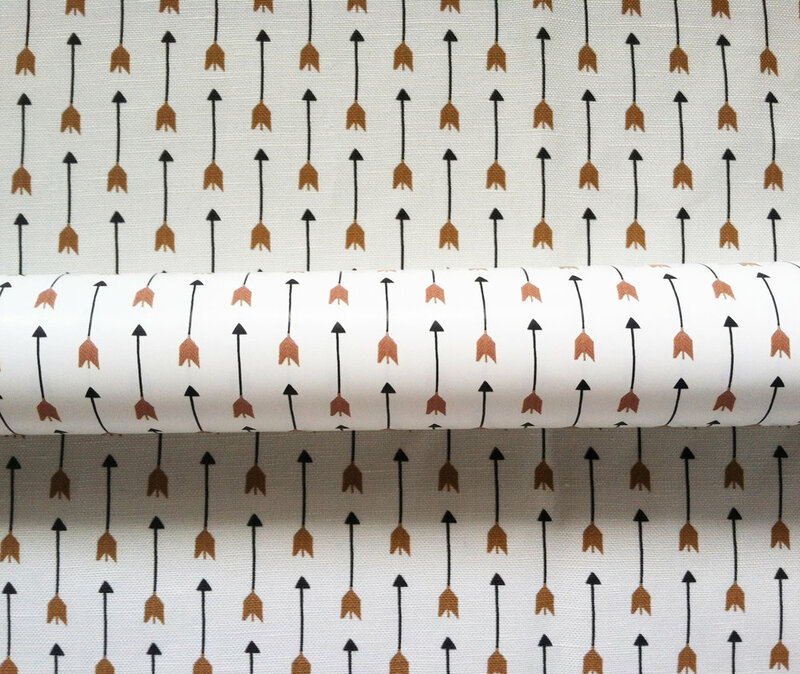 Arrows wrapping paper by Holli Zollinger, $15 US per roll (26" x 72"), Spoonflower. 6. Cheers arrow gift tag, $12 US per package of 4, and gold foil arrows kraft wrapping paper, $5 US per sheet (50 cm x 70 cm), Haute Papier.